These two rivals are serious contenders for the NFC East this year — as they are almost every year — so this would be a big game in any situation. The particular circumstances here only add to the excitement. For starters, this is the first game of the NFL season, so it marks the end of the long, almost interminable wait for real football action for fans and bettors. It’s also the first real game the Giants have played since their surprising Super Bowl Championship, so it the first chance for fans to properly welcome them home. That celebration won’t likely affect the final outcome of the game, but it will certainly impact the atmosphere early in the game. The league is all about offense these days, so it only makes sense to start there. Eli Manning leads the way for the Giants — obviously. He’s sure to be particularly confident this year after winning his second Super Bowl ring. He also has some nice tools to play with. 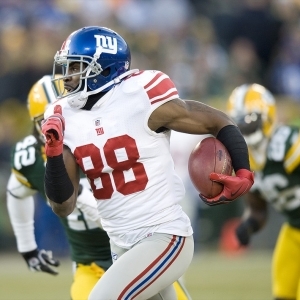 Mario Manningham and Brandon Jacobs have left — both to the 49ers. That doesn’t mean that the offense should be diminished, though. The receiving trio of Victor Cruz, Domenik Hixon, and Hakeem Nicks is very good, and their chemistry with Manning should be as strong as last year. At running back, first-round choice David Wilson from Virginia Tech is a dynamic player who should be a strong competitor from the outset. Being a rookie certainly doesn’t have to limit production out of the backfield. This team will score. That offensive strength puts huge pressure on what was a major weak point for the Cowboys last year — the secondary. In short, the unit was brutal last year. Because they were so bad it was impossible for defensive coordinator Rob Ryan to run the rush-heavy offense he wanted to because he couldn’t afford to rely on the secondary if the rush wasn’t successful. It led to a hodge podge of a defense that was the biggest reason the team limped to a 8-8 record. If talent can translate into performance then this secondary should be dramatically better. Morris Claiborne and Brandon Carr are the big-name additions, and Brodney Pool was an excellent addition as well. It’s not ideal that this new unit gets their first test against such a strong attack, but it will make it easy for us to get a sense of how much better the Cowboys are going to be. The improvement we see from the secondary will have the biggest impact on the outcome of the game. Offensively, Dallas would be fine if only they were healthy. That, sadly, is a big “if”. It’s hard to find a receiver in fine form right now. Miles Austin has knee issues that kept him out of the last two preseason games. Jason Witten lacerated his spleen in the preseason opener and is at risk of missing his first game since 2003. Dez Bryant is physically sound, but mentally he’s a massive issue. The concerns shouldn’t be enough to scare you off of betting on the Cowboys if you otherwise like them, but you certainly need to be sure to factor the uncertainty on offense into your value considerations. The line opened with the Giants favored by a field goal, but it quickly moved to four points and has been stable there since. Slightly more betting action has been directed at the home team, but the action is close to balanced. That means that the line should be relatively stable barring any major developments. The total sits at 44.5, with higher totals available in some locations. Dallas has not been kind to bettors recently against the Giants. The Cowboys have covered the spread just once in the last six meetings. As the underdog, though, they are well positioned — the underdog has covered in five of the last six meetings. Five of the last six meetings have gone over the total. It’s tough to get a sense of teams early in the season, and you can’t get any earlier than this game. That means that you have to find something to believe in, test that theory to see if it is justified, and run with it. In that spirit I’ll take the Cowboys and the points here. The Giants didn’t get off to a good start to the season last year, and I have concerns about their ability to focus and be more prepared this year heading in as defending champs. I really like the defensive changes the Cowboys have made, and think that Rob Ryan will be far more creative and effective as a result. I am not the Eli Manning fan that many are, and I don’t have a lot of faith in him in the face of what Ryan will throw at him. I’ll take more than a field goal happily. I would lean towards the “over,” but I don’t see nearly the value there that I do in the line.